The European Commission published priorities for a sustainable development agenda on Thursday (5 February), ahead of negotiations for the post-2015 Millennium Development Goals (MDGs). The EU executive said that a partnership should include all countries, and be based on universal values such as human rights, good governance, the rule of law, support for democratic institutions, inclusiveness, non-discrimination, and gender equality. According to the Commission, the key components that need to be in place include a conducive policy environment, capacity development, effective use of domestic and international public finance, making the most of trade and technology, and harnessing the positive effects of migration. Speaking at a news conference in Brussels, Neven Mimica, the Commissioner for International Cooperation and Development, stressed that financing, for example via taxes, will continue to play an important part for the poorest countries in the world. “We stand ready to play our part, but we also want to encourage others to step up their contributions. We believe that all developed countries, including in the EU, should meet the United Nation target of 0.7% of national income for development aid assistance,” Mimica said. “The Commission wants the EU continues to lead by example on official development assistance, so we propose a re-commitment of the 0.7% target as our political goal and leverage in the negotiations,” the Commissioner stated. Upper middle-income countries and emerging economies should also be prepared to take their share of contributions to the financing of global development, Mimica said. Karmenu Vella, the Commissioner in charge of environment, who joined Mimica at the press conference, pointed out that ensuring a good state of the environment globally will be crucial for the EU. At the United Nations’ General Assembly in September, the post-2015 development goals are expected to be announced. Previously, the eight Millennium Development Goals – which range from halving extreme poverty to halting the spread of HIV/AIDS and providing universal primary education by 2015 – have also contributed to unprecedented efforts to meet the needs of the world’s poorest. Globally, the MDG target for the proportion of people living in extreme poverty has been met five years ahead of the target date. About 700 million fewer people lived in extreme poverty in 2010 than in 1990. For universal primary education, the goal has almost been achieved, with an enrollment rate growing from 83% to 90% from 2000 until 2011. The number of out-of-school children also dropped by almost half from 102 million in 2000 to 57 million in 2011. The United Nations says that achieving gains in education will have an impact on all MDGs. However, gender gaps in access to education have narrowed. But disparities remain among regions in all levels of education, particularly for the most excluded. Though there has been major progress across all developing regions in reducing gender gaps in primary school attendance, girls continue to face barriers to schooling, particularly in North Africa, sub-Saharan Africa and Western Asia. "The announcement from the Commission amazes with its complete lack of ambition and by dodging everyone one of the difficult questions. The EU is playing a dangerous game, which could ultimately lead to a collapse of the global negotiations. 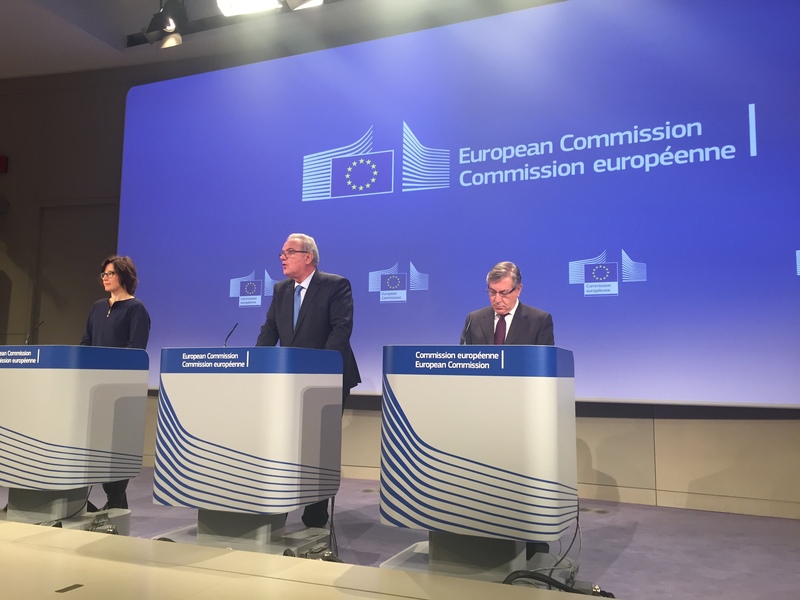 While the Commission is eager to talk about new sustainable development goals, it looks like they are trying to avoid answering the question of how to finance these goals, and in particular the question of what the EU will bring to the negotiating table. The Commission has suggested that the EU could recommit to the target of delivering 0.7% of GNI in official development assistance within a given timeline. While we very much welcome a renewed discussion about how and when the EU can fullfil its commitments, we don’t think that re-committing to a 40 year old target gives the EU the right to call itself a global leader." The Communication will inform EU positions in preparations for the Third Financing for Development Conference in Addis Ababa in July 2015 and the Post-2015 UN Summit in New York in September 2015. Agreement on the post-2015 agenda will also have important implications for negotiations under the UN Framework Convention on Climate Change. 2015: European year for Development Cooperation. Sept. 2015: High-level summit to adopt a new set of goals building on the achievements of the MDGs.